Students and staff are encouraged to contact the help desk to report technical problems, security incidents and outages as soon as they become aware of them. Only staff are registered to use the ticket system at this time. 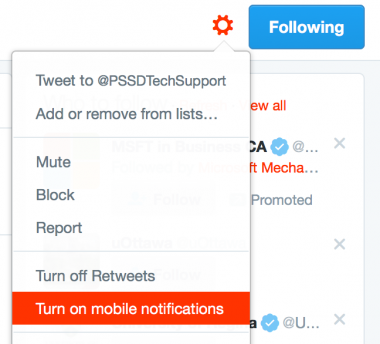 Students may email or call. and all the details around planned upgrades. Students and staff are invited to connect to the wireless network with their personal technology. 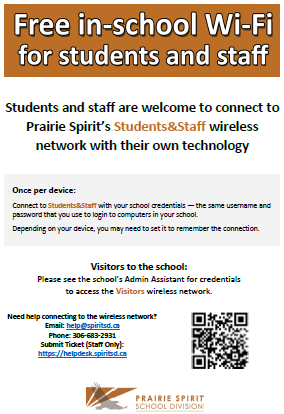 Wireless access is available in all Prairie Spirit schools. It is good to know when a technician will be in your school. Send an email to the help desk in advance of the date so the technician knows to meet with you in person. Both students and staff are welcome to make use of this service.